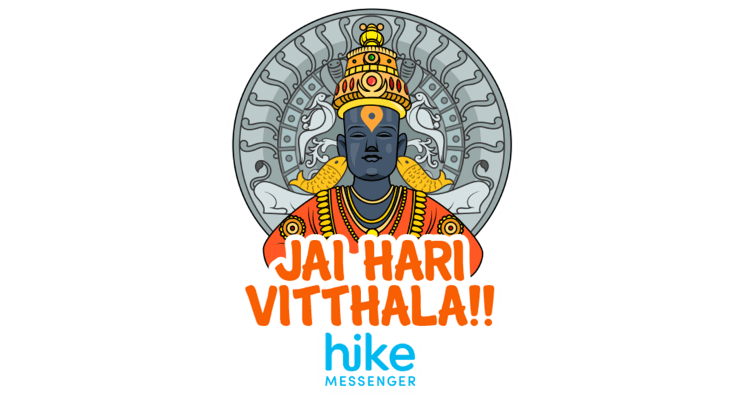 Hike announced the launch of a special sticker pack on the occasion of Ashadhi Ekadashi, an important religious festival celebrated to pay homage to Lord Vishnu, the preserver as per Hindu mythology. Legend has it that Lord Vishnu who had fallen in deep sleep for 4 months woke up on this Ekadashi celebrated on July 23rd. The festival is celebrated with a lot of grandeur and pomp across different parts of India. Hike users can celebrate the festival with their loved ones by sending graphical “Shubh Ashadhi Ekadashi” greetings instead of just typing plain text messages or even post stories with special story stickers celebrating the festival. The specially created sticker pack is available for download in the sticker shop within the Hike app on both Android and iOS. Ashadhi Ekadashi on Hike 0 out of 5 based on 0 ratings. 0 user reviews.